A lawnmower needs adequate protection from the elements. 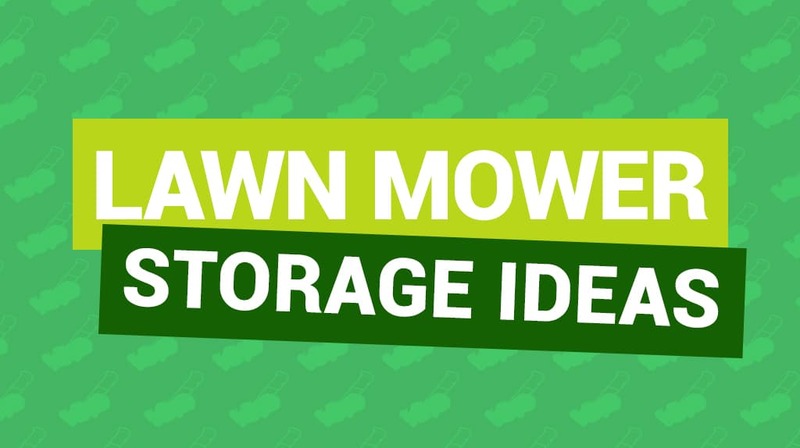 But, finding the right storage for your lawnmower can be difficult if you don’t have space for a large shed or garage. Perhaps your lawn mower is currently lost at the back of a cluttered and cramped shed? Make your garden organised by owning a suitable garden building to store your lawnmower in. If you’re unsure what is best, these lawn mower storage ideas are there to point you in the right direction. What type of lawnmower do you have? The most important question is this. Depending on the type, some lawnmowers are more versatile than others. If your lawnmower has a folding handle, it will fit into more compact buildings easily. However, a petrol mower comes with more attachments and is generally much bigger in size. If this is the case, you will require more space to store it. Furthermore, some lawnmowers can be hung up. These are usually the more lightweight kind which takes up less storage. Wooden sheds are ideal for these kinds of lawnmowers as you can attach screws and hooks into the walls to hang the mower from. You should always check that the hooks are the adequate size for your lawnmower. Do you keep having to move items around to reach your lawn mower every time you need to use it? If so, you will probably need a bigger shed. 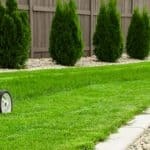 Styles and designs vary significantly depending on what shed you choose, but the good news is that there’s definitely a lawn mower store which is right for your garden. A pent-style store or shed with a contemporary design will complement any modern garden perfectly. The Mini Master T&G Pent Store offers your garden versatile storage which is great for smaller gardens. Keep your lawn mower safely secure in a shed which has a strong build and compact design. If you’re looking for a modern store which can hold more garden storage, then our Master T&G Pent Shed is the right shed for the job. You can store your lawn mower, along with all your other garden implements. As a heavy-duty option, the Pent Log Cabin windowless shed is great lawnmower store for your garden. Choose from a range of shed sizes to find one which suits your garden. A plastic shed can also offer your garden lawn mower storage. These type of sheds offer a durable storage solution. A benefit of plastic sheds is that they require little maintenance. Like metal sheds, you don’t need to paint or treat the building like you do with a wooden shed. Some plastic sheds even have the look of a wooden shed, such as the BillyOh Retford Woodgrain Apex plastic shed. 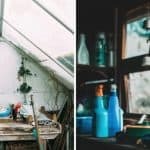 These types of shed offer your garden the look of a wooden shed but made from more durable plastic. If you’re looking for a lightweight lawn mower store which is long-lasting, a plastic shed is an ideal choice. No matter the size of your garden, there are metal sheds in all sizes available. The most commonly recognised garden building is the wooden shed. There are many styles and designs available with a wooden shed. If you’re looking for a traditional shed, then an apex shed is the best choice to complement a traditional garden. If you have a small budget for your lawnmower garden store, the BillyOh Overlap Apex Shed is a great choice. Available in a range of sizes, you can keep all your garden items in one place or just provide a shed for your mower when it isn’t being used. If you want a stronger shed to store your lawnmower, a more durable building such as the BillyOh Master range would be ideal. These sheds come in Apex styles, as well as Pent styles, such as the BillyOh Master Pent Shed. Wooden sheds in a pent style offer a modern look to a building which complements a contemporary garden perfectly. If you want a low-maintenance building which is strong, you could opt for a metal sheds. Metal sheds are a durable option for lawn mower storage and provide great protection from the elements. Although they have not been considered as stylish as wooden sheds in the past, now you can find all sorts of styles and designs in metal. 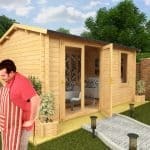 The BillyOh Combo Pent Metal Shed is a building which offers your garden great storage for a lawnmower. It has a woodgrain effect and pent roof which looks modern and stylish. 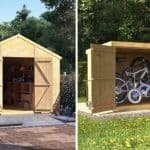 It’s easy to add shelving to a metal shed and this shed comes with the option of adding them to save you the hard work. Plastic, wooden and metal sheds can all provide with excellent lawnmower storage for your garden. Depending on the size and style of your lawn mower, sheds differ. Get organised and provide your garden with the right storage to keep your lawn mower protected all year round!